Whether you love western tradition or the bohemian style, you will love these booties from Liberty Black. 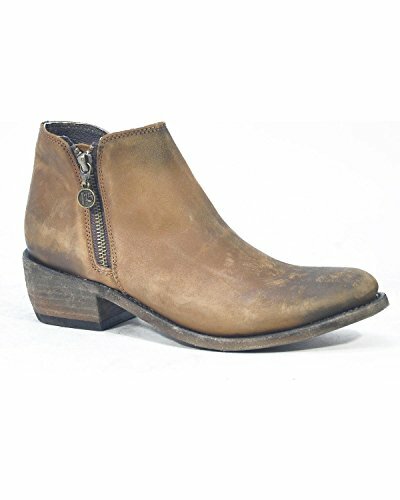 These booties feature distressed leather, double zipper closure, a leather sole, and a stylish round toe. You can wander all over the countryside or city in these stylish booties from Liberty Black. If you have any questions about this product by Liberty Black, contact us by completing and submitting the form below. If you are looking for a specif part number, please include it with your message.